The Eagles were joined by Jackson Browne to perform a tribute to the late Glenn Frey at the Grammy Awards in Los Angeles on Monday. The 1972 classic was co-written by Browne and Frey, with the Eagles guitarist taking lead vocals on the opening track from the band’s self-titled debut album. The performance was a billed as one-time only special tribute to Frey, who passed away January 18 at the age of 67 from a combination of rheumatoid arthritis, colitis and pneumonia. 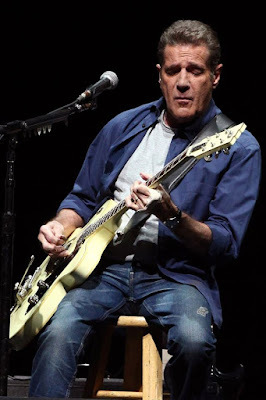 As a member of the Eagles, Frey won six Grammy Awards and five American Music Awards. The Eagles were inducted into the Rock and Roll Hall of Fame in 1998, the first year they were nominated.